Whether your home is big or small, tis (almost) the season for entertaining family and friends. Alright, this one may be obvious but I’d be remiss if I didn’t mention it. A sparkling clean, fresh-smelling home with ‘a place for everything and everything in its place’ makes the perfect first impression. And sets the stage for amazingness to come. Little things like removing unnecessary appliances from the kitchen counters or removing unnecessary furniture pieces can make a big difference in how much ‘space’ your rooms appear to have. These days when ‘eclectic’ is all the rage, a mix of seating options makes perfect sense. Gone are the days of matchy-matchy (and isn’t that a welcome relief?) Chairs, stools, ottomans all make great seating choices for your guests around the table. While centerpieces can be beautiful, they can overwhelm a small space. Get creative when it comes to your table’s centerpiece. 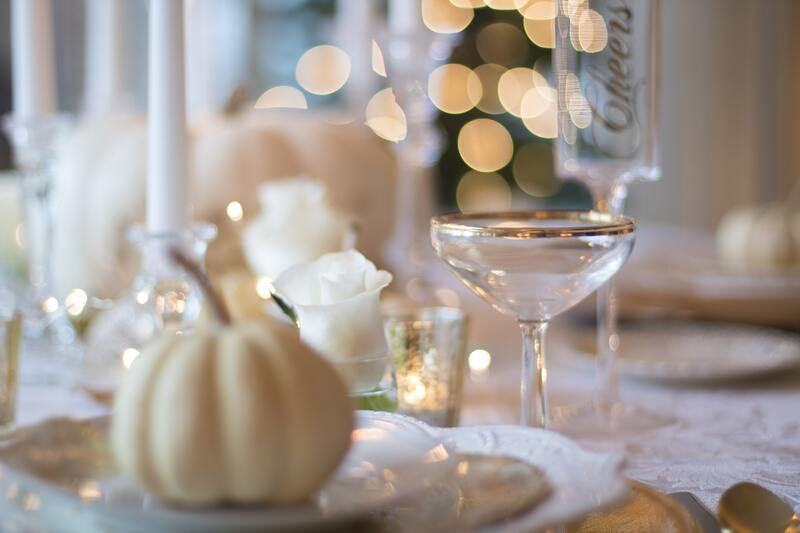 Pinterest is a wonderful resource to find simple, yet elegant & beautiful, centerpieces that won’t take up too much ‘real estate’ on your holiday table. Thinking about moving? I’m a real estate and marketing expert. It’s never too early to talk about strategies that get a quicker home sale and mistakes to avoid when buying your dream home. I’d love to buy you a cup of coffee to share my expertise with you.